Well known in the West, as it was copied by Vincent van Gogh in 1888, this is surely the masterpiece of the series. The New Great Bridge of the title was actually built in 1693; Atake (properly Fukagawa) is the land in the distance, with boat-houses just visible at the left. 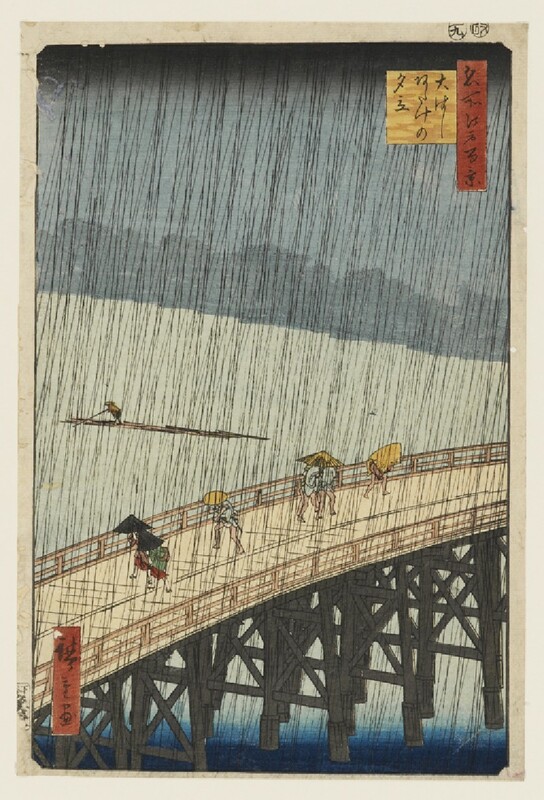 People crossing the large bridge are caught in a summer rainstorm. 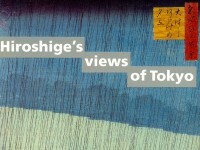 This atmospheric print is one of the most famous of Hiroshige’s images and was copied in oils by Vincent van Gogh. 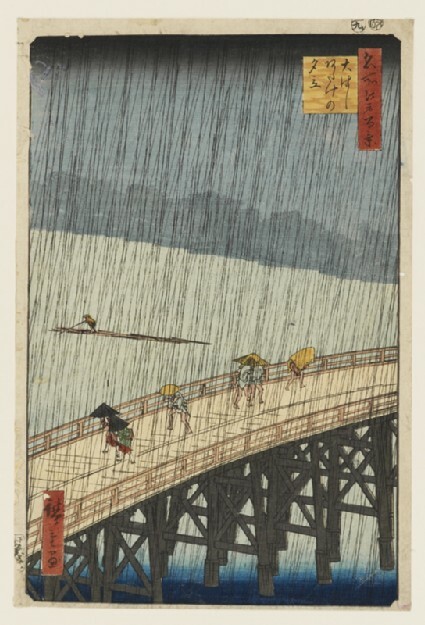 The effect of the driving rain is created by using two separate woodblocks to overlay fine lines of slightly different greys in slightly different directions.